Law Web: Whether trust can file complaint before consumer forum? Whether trust can file complaint before consumer forum? 1. In these appeals a very short question has arisen, namely, whether a complaint can be filed by a Trust under the provisions of the Consumer Protection Act, 1986 (for short, ‘the Act’). The National Consumer Disputes Redressal Commission (for short, ‘National Commission’) answered the question in the negative and we are in agreement with that view. 3. It is quite clear from the above definition of a complainant that it does not include a Trust. 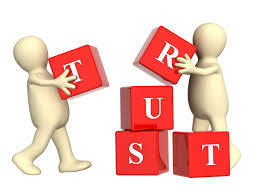 But does a Trust come within the definition of a consumer?